Before my non-equestrian readers’ imaginations go wild, let me define that term: “daisycutter” is an informal word for a horse that doesn’t pick up its feet when it moves, dragging its toes instead. With bad ones you can even hear the toe scraping audibly along the ground, which is presumably low enough to cut daisies, hence the term. 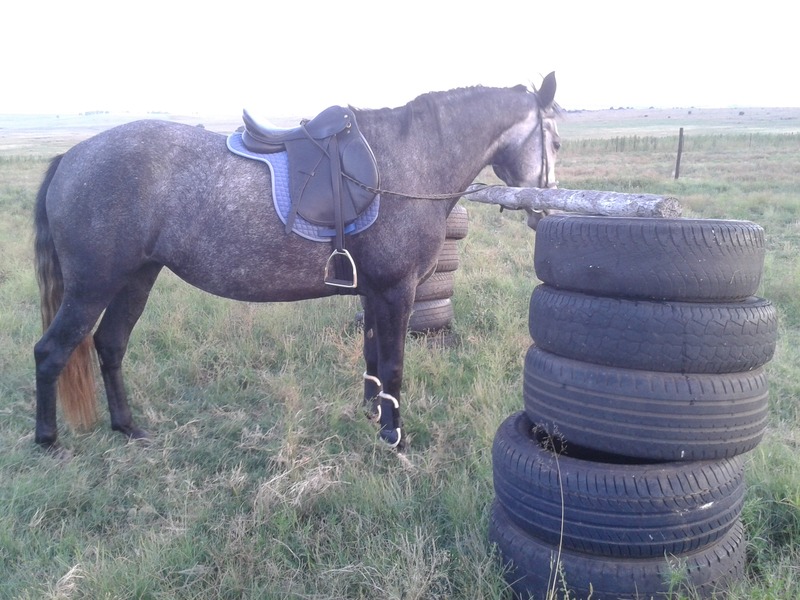 It’s an annoying and most unflattering habit, and although perhaps not as bad as dishing, forging, brushing or over-reaching, it needs to be trained out of the horses that do it. Arwen has always struggled with daisycutting. Originally I believe it was because she was an unbearably lazy youngster and simply couldn’t be bothered to pick up her feet. Now that she’s learnt to enjoy her work and is generally enthusiastic about everything she does, it could just be an old habit that rears its ugly head every now and again. The one exercise I know that helps with daisycutting is, unfortunately for Arwen, pole work. I often think that working over poles is more difficult than it looks, requiring quite a lot of concentration and coordination to do well. After all, when a horse goes over poles well, it goes in perfect rhythm with strides all the same length and with elevated (and extended, depending on pole placement) movement. 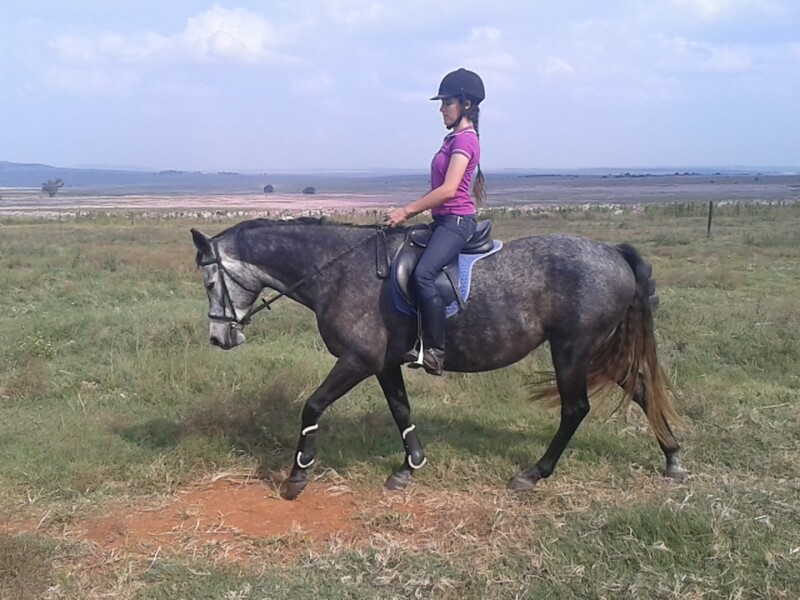 The rhythm takes concentration; the elevation, especially if the rider or training aid is causing the horse to keep its head in the right position and its hindquarters engaged, works a lot of muscles. Cue me rubbing my hands together and cackling evilly. I love making horses work hard. Poor babies. 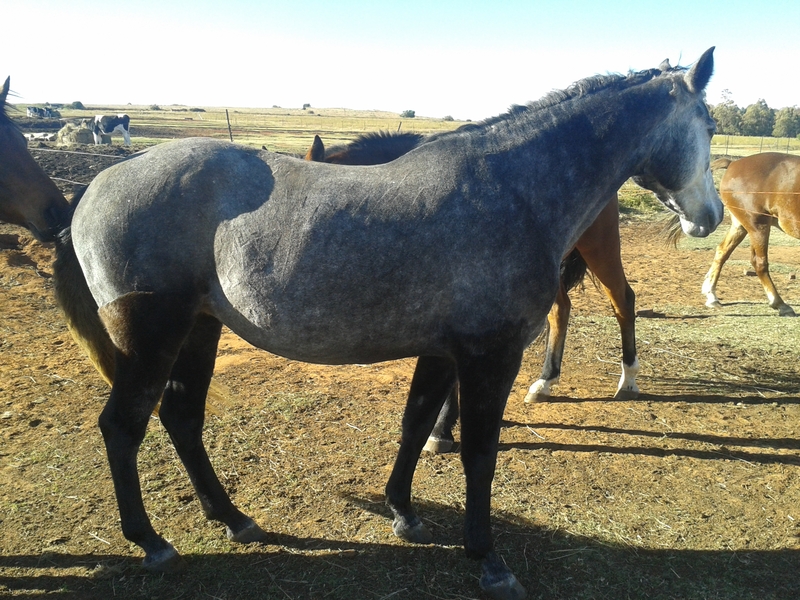 I must say that she has toned up nicely since she was brought back into work in January after her AHS vaccination. She wasn’t fat, but she was soft and had a bit of a belly; now she has such a streamlined, athlete’s build. I like her condition now. 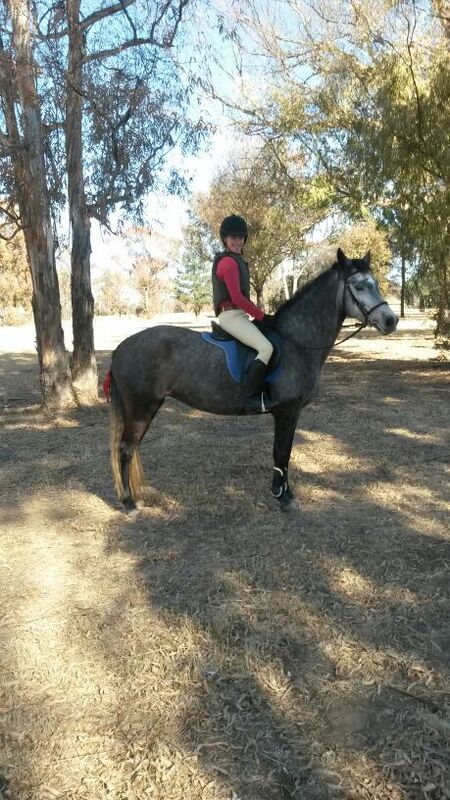 You can just see her last rib; perhaps a bit thin for a show horse, but right for an eventer. With Arwen’s rhythm and elevation needing work, and me taking any opportunity to develop her back, belly and bottom, pole work it has been almost every session. 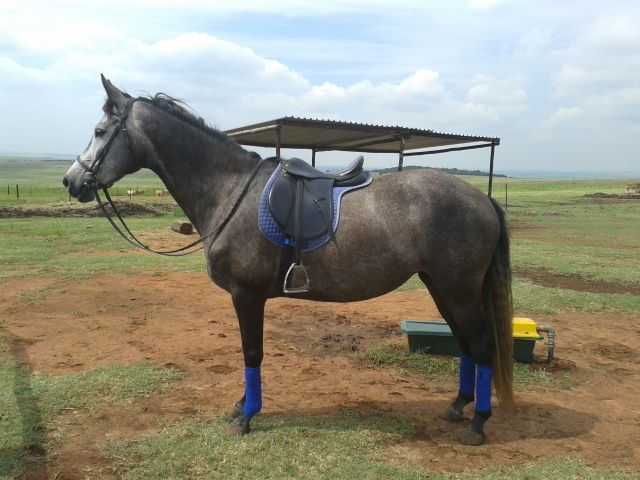 I schooled her over a set of five poles on the ground last week to refresh her memory. She knows what to do with poles and went over them all in a perfect rhythm, and didn’t knock any around – just clipped them lazily once or twice. 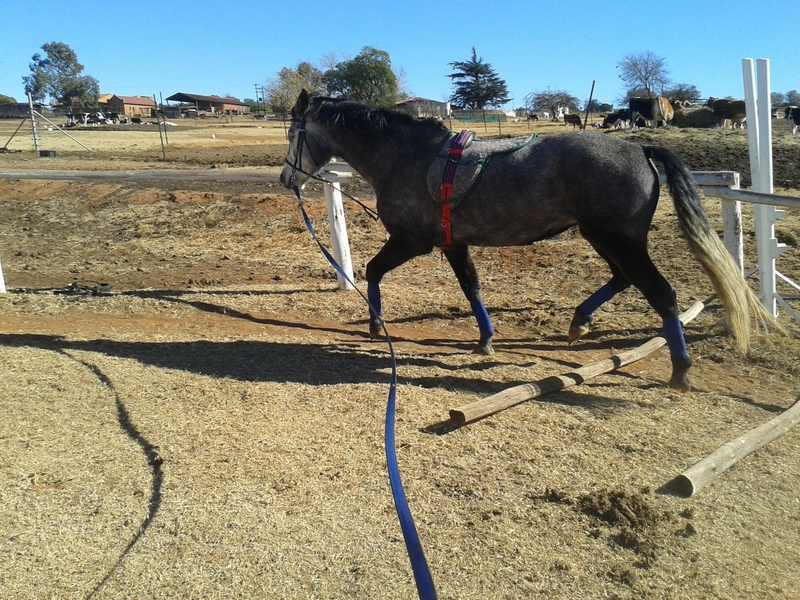 After that she had her cross-country schooling and a couple of days off to recuperate from the travel, and then was brought back into work with a shock with some lunging over poles. I’d lunged her over a single set of four poles before, but noticed that while she went fine over them and just before and after them, on the far side of the ring she’d just go back to daisycutting. This time, I decided to challenge her by putting three poles on one side and three directly opposite. It worked like a charm. She was rhythmic, accurate and confident; better still, she didn’t drag her toes between the poles either, because she was always preparing for the next set. I could definitely see a difference in her stride by the end of the session. It’ll take plenty of time and I think I’ll incorporate poles into our lunging session every week, but it’s progress. Lastly I decided to really make the poor creature work by putting up a set of four poles raised to about 20cm. She warmed up extremely well. Maybe the pole work is already building some strength, because she gave me some of her most balanced and rhythmic canter work to date. While her rhythm to the right is still a little off, she is definitely improving. We cantered a few 10m circles (having to use a small strip of field to work in since the arena is being levelled) and then counter-cantered them, which was a real challenge for her, but she took herself down to almost a collected canter and did well. We also had some really nice semi-parallel leg-yields in trot, which was a first. She offered a few steps of trot half-pass in the leg-yields as well. After our warmup we started our work over the poles. The raised poles were a challenge for her; she broke rhythm once or twice. Although she continued to step between them properly, and didn’t knock them down, I could feel a distinct difference in her rhythm as she went over them. I decided to ride them sitting, felt her rhythm over the poles, and then kept my seat going in that rhythm even if she went off to a different beat. She quickly figured out that synchronising her back to my hips was much easier and we finished with her going over the poles to both sides without changing her rhythm. Next week’s mission: jumping. Enjoy your day off, Arwen. That June photo is gorgeous! Just look at the difference from the earlier ones…wow! I love pole work. Good for so many things!